The value italic is the only option you are likely to want to use. You could also try normal or oblique. 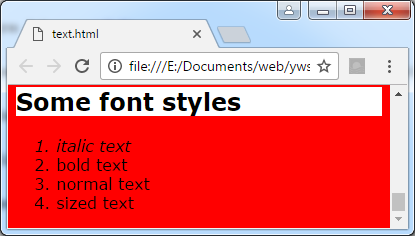 Save text.html and view (obviously only the italic works so far).